I hope everyone reading this had a great Thanksgiving yesterday, filled with friends and family and some great food! If you are anything like me, chances are you over-indulged a bit and woke up this morning a bit heavier than yesterday. My wife and I worked very hard to make sure there wasn’t any sugar or carbs in the meal but… that didn’t stop me from eating A LOT of food. If I had to guess, I ate more food yesterday than I have in the entire previous week. Yikes! So if you are finding yourself in a similar boat, what do you do? Answer: Get back on the horse and keep on keeping on. Or to put it another way, Keep Calm and Keto On. I woke this morning dry as a bone. All that extra digesting I had to do along with the fact that I drank very little water added up to me feeling like a sponge left out in the sun. My hands were dry, my lips were tight and I had cottonmouth of the highest order. So first thing was a big glass of water followed by 2 more just to get back to “even”. Then I had my coffee but followed it up with another glass of water. I’m writing this about noon and I’m just now beginning to feel a little normal. Do you have a fridge full of mashed potatoes and apple pie? You might be better off just throwing all that away. I know, I hate to waste food too but better it goes to waste than goes to waist. Lines like that are why this blog has won zero awards. Did you stop exercising because the last few weeks were so hectic? That’s exactly what I did and I have been kicking myself for it. My wife was just saying today how I’m stooping when I walk which is something I do when I stop doing yoga and stretching. I swear I think my hamstrings are 2 sizes too small for my legs. If you stuffed your face yesterday, consider fasting. Skipping a few meals to get your insulin and appetite levels back under control couldn’t hurt and might be what you need to get everything back where it needs to be. Most of all, get back to old routines and recommit yourself to a low carb diet. Don’t let one bad day throw you off from your goals. Get back to it! 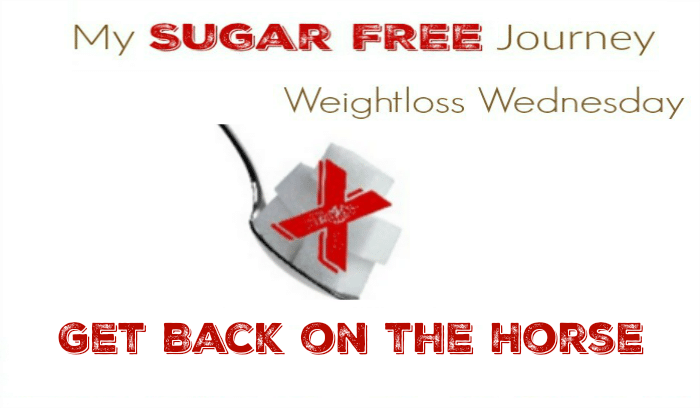 NEXT POST Next post: The My Sugar Free Journey Podcast – Episode 64: Keith Norris of Paleo f(x)!